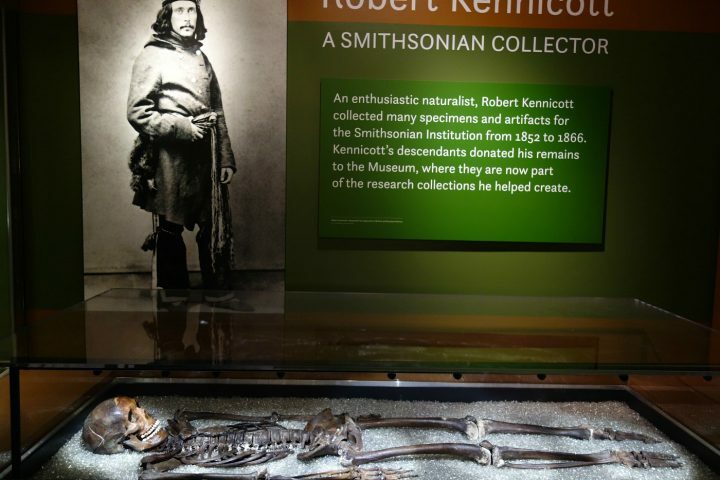 The skeleton of 19th-century collector Robert Kennicott is on view in the Smithsonian Institution National Museum of Natural History’s Objects of Wonder. The bones recently solved the long mystery of his death. 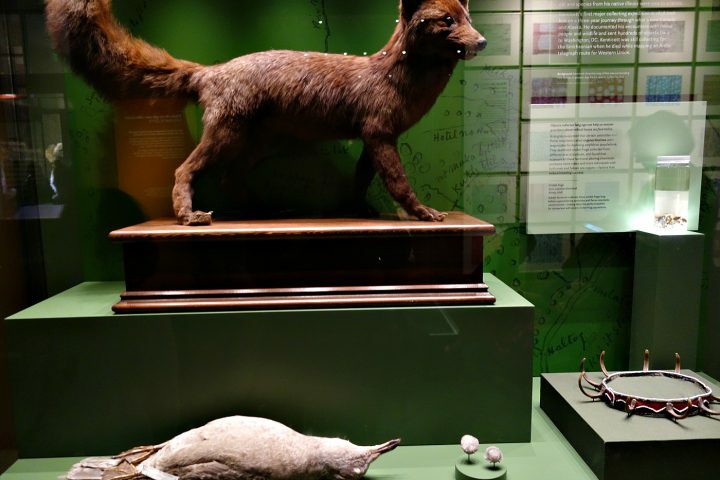 WASHINGTON, DC — The Objects of Wonder exhibition at the Smithsonian Institution National Museum of Natural History (NMNH) is overflowing with the priceless and the odd. A huge chunk of lapis lazuli, a lion shot by Teddy Roosevelt, whale earwax, 40,000- to 20,000-year-old mammoth meat and hair, and extinct taxidermy animals, are all spectrally illuminated like relics in the dark galleries. 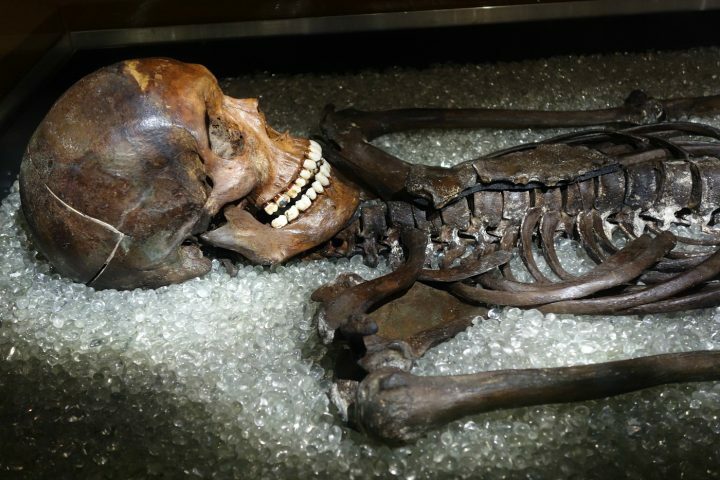 Among them is one of the earliest contributing scientists to the museum’s diverse collections, his burnt caramel-colored bones reclining in a glass case. Man interferes unwisely [in the vast system of nature], and the order is broken. … [B]efore waging any war on any animal, let us study its habits, and look well to the consequences which would follow its extermination. A full-body photograph in Objects of Wonder depicts Kennicott as a swashbuckling adventurer with shoulder-length hair, dressed for the frontiers of Canada and today’s Alaska, where he spent years on expeditions. But how did he come to be a museum display? The exhibiting of human remains in natural history museums is certainly not rare; see the current Mummies exhibition at the American Museum of Natural History in New York. Meanwhile, the remains of architecture writer Christopher Gray, who died this April, were donated to the Smithsonian to be exhibited at his alma mater boarding school. 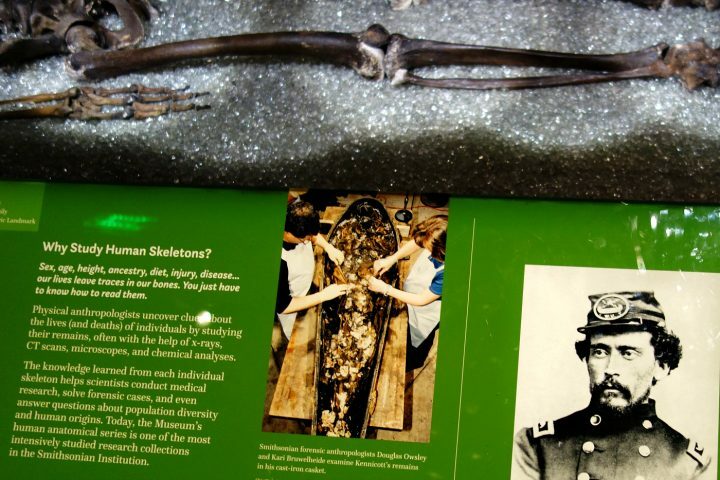 Yet the display of a white museum collector’s bones is unexpected, especially since until 2001 Kennicott was resting peacefully beneath the earth at the Grove in Glenview, Illinois, his childhood home that is today a National Historic Landmark. What killed Kennicott at the age of 30, while on an expedition with the Western Union to map an Arctic telegraph route, was a mystery ever since his body was found. Many, including fellow expedition members, believed it was suicide by strychnine. NMNH forensic anthropologists Kari Bruwelheide and Doug Owsley set out to determine the truth when they cracked open the cast-iron coffin in which he had been interred. Bruwelheide and Owsley are leading experts in iron caskets, and these methods of air-tight burial can remarkably preserve remains. For instance, the cast-iron Fisk coffins, patented in 1848 by Almond Fisk, have preserved flesh, bones, and clothing, sometimes as if they were mummified. It turned out that the strychnine in his system was not enough to be the cause of death and was more a side effect of living in the Victorian age. NPR’s All Things Considered reported that he was indeed known to carry a vial of strychnine. In the 19th century, you were as likely to get cocaine and poison in your apothecary treatments as effective cures, and Kennicott, whose chronic childhood illness led to his interest in the nature around his Illinois home, may have used it therapeutically. Poisoning was also a hazard of being a 19th-century scientist, as the strychnine was employed for killing small animals, and arsenic and mercury were used for specimen preservation. As Alison Matthews David explored in her 2015 book Fashion Victims, even the taxidermy birds decorating 19th-century ladies’ hats had dangerous levels of arsenic. And, like his bones, many of his specimens are supporting contemporary science. 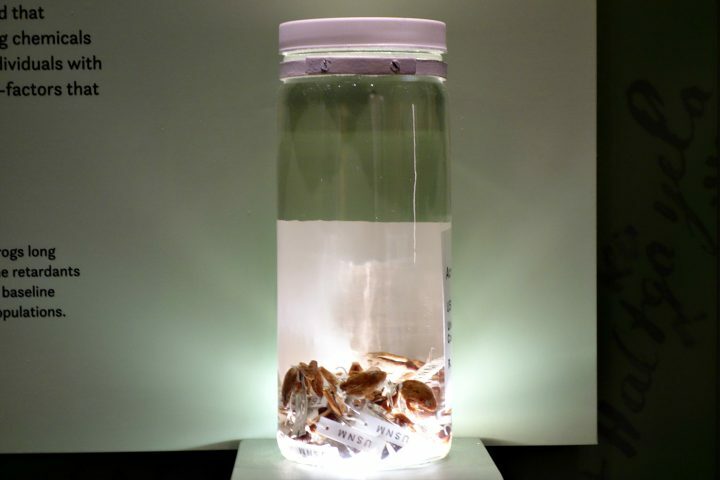 A jar of cricket frogs installed by his skeleton in Objects of Wonder were collected in 1858 Illinois, before the introduction of organochlorine pesticides and flame retardants, so researchers can compare the state of the frog population to this past baseline. 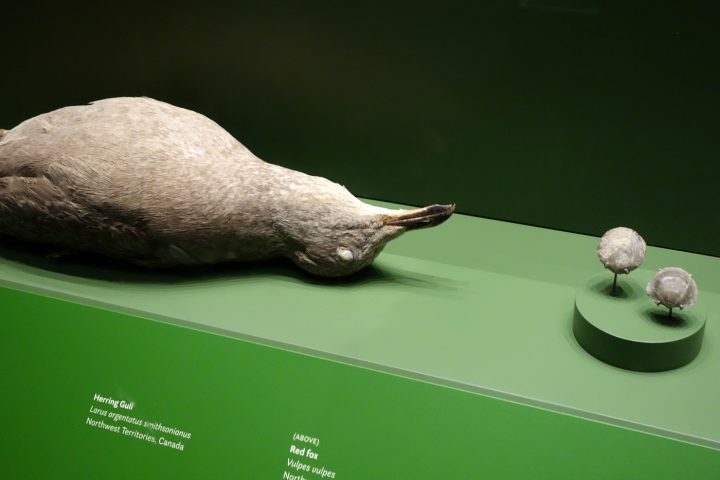 Along with the tiny frogs, a headdress from the Northwest Territories made with grizzly bear claws, a stuffed herring gull, and a red fox are displayed in front of a graphic background based on a map Kennicott sketched of an area around Fort Nulato in today’s Alaska. Stretched out in the gallery lights, his bones stained a deep color from the iron coffin, his path has come full circle, his afterlife merging with his passion for science. 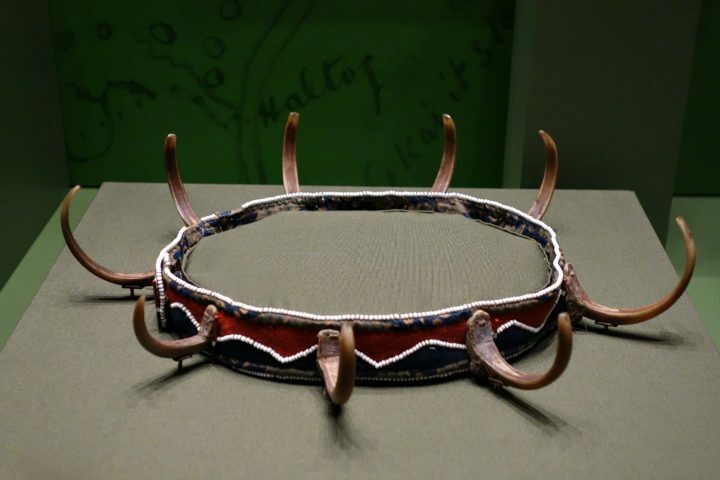 Objects of Wonder continues at the Smithsonian Institution National Museum of Natural History (10th Street and Constitution Avenue, NW, Washington, DC) through 2019.